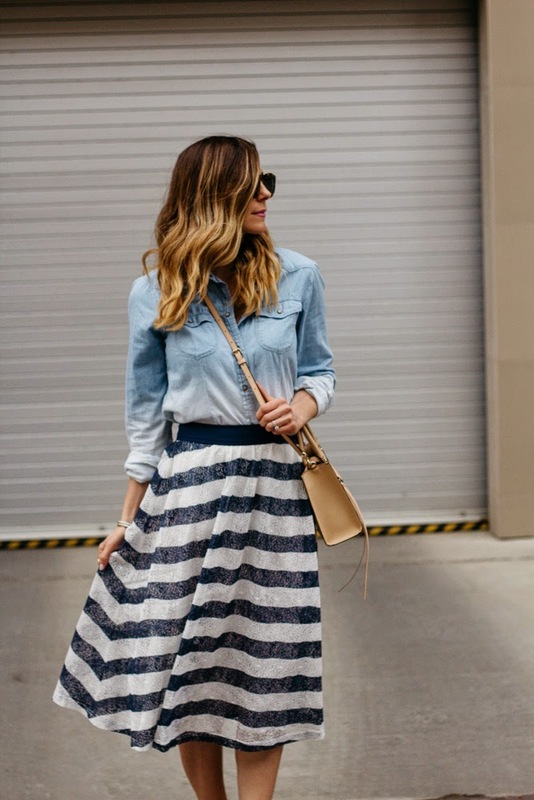 The midi skirt is one of my favorite styles of skirts. It cinches you at the smallest part of your waist, it can be worn with any top and it can be dressed up or down. I love the lace detail on this midi skirt and even better it’s on sale! What a cute skirt! It looks great on you! Gorgeous outfit the skirt looks amazing on you! Total bag envy as well! Really cool combo! 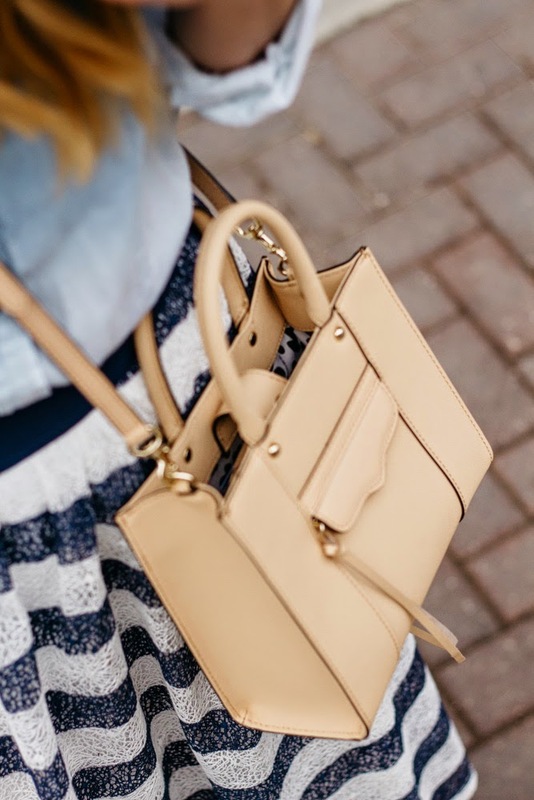 Love this bag! Midi's are so cute and feminine, I'm so glad they're in. They have a retro/vintage feel as well, back to the 40s/50s, when women almost always wore skirts for everything (and men wore suits to do manual labor job! Imagine! But I think society as a whole looked more polished and pulled together in that era.) But I'm rambling now, lol. 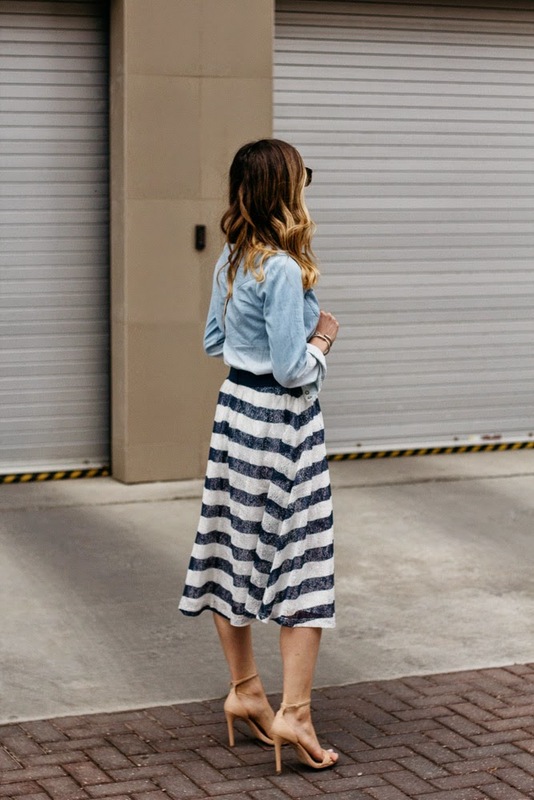 I like the contrast in this outfit of the more casual chambray top with the dressier lace skirt. Its balanced and very attractive. Great outfit! The texture of your skirt is the most amazing thing!